In Portugal, the most westerly European country, business travellers can visit Europarque. Located just 30km south of Oporto, Europarque was one of the most referred to tourist destinations in the world last year. The centre is strategically located at the junction of all major national roads, giving visitors easy access to Portugal’s neighbouring country, Spain. 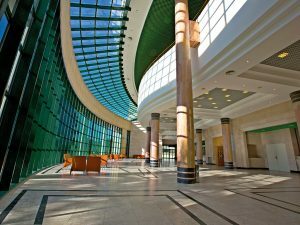 Europarque, which boasts more than 20 years of experience in the hosting and organisation of multidisciplinary corporate events, offers a range of unique features and functionalities. 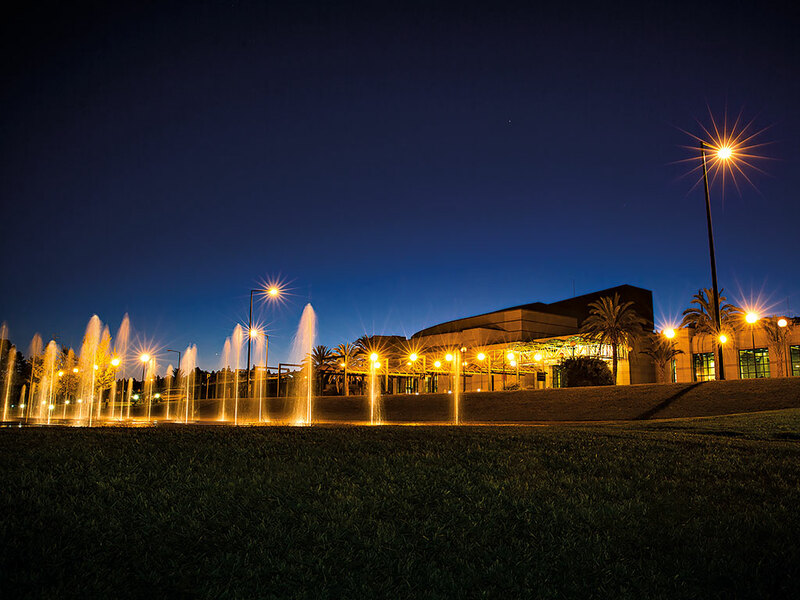 Covering a total area of more than 150,000sq m, Europarque is a congress centre tailored to fit the specific needs of each individual client and event. The mission of Europarque is to host and organise events by attracting new investments and business players from an array of sectors. The centre aims to not only attract people to Santa Maria da Feira, where Europarque is located, but also to the country itself, thus increasing entrepreneurial opportunities nationwide. Europarque operates within an area where businesses of the most diverse sectors co-exist, unquestionably highlighting the excellence of each represented brand or company. The sectors in question range from health to education to the food industry. The centre offers an auditorium with the capacity to host more than 1,400 people, a 7,200sq m pavilion, and meeting rooms with exceptional potential and versatility. All of these elements come together to form a unique variety of spaces, ranging in size from 70sq m to 7,200sq m, which are capable of hosting both small and large events, including fairs, exhibitions, conferences and performances. It even provides separate areas that are not only suitable for training and workshops, but also offer an open space for cocktails, banquets and much more. These are also possible simultaneously due to the perfect acoustic isolation. Additionally, there is free parking for more than 1,500 cars. Europarque’s infrastructure, although imposing, proudly displays an extraordinary architectural structure with both discreet design features and larger, spacious areas with exceptional sun exposure and natural lighting. Furthermore, Europarque overlooks a lake and river and boasts its own restaurant, which opened only recently and has been widely commended for its excellent food and service. It has already become part of the most varied gastronomic itineraries in the north of Portugal. Lago, the centre’s outdoor area, welcomes all visitors to a wonderful area where they may enjoy moments of relaxation, sports and various outdoor activities. For customer support, Europarque has established several strategic partnerships in order to aid services and foster excellence in hosting and organisation. Having protocols with highly qualified and versatile entities in services such as catering, audiovisual, logistics, stands, transfers, hosting, ticketing and many others, the customer support team is the heart of the whole process of organising each and every type of event. Focused on the future, Europarque, with its new image, aims to display modernism, youthfulness and elegance in its venue and surroundings. The centre believes these are key factors to ensure the harmonious coexistence of entrepreneurs who use this location daily for business, product and/or service marketing. Europarque, with its incomparable indoor and outdoor spaces and dimensions not to be found anywhere else in Portugal, presents a renewed and innovative image for the future. It also boasts the advantage of being located near the most important national roads, while also being just 20 minutes away from the International Airport of Oporto. The centre strives for complete success in each and every event it hosts and promotes. Europarque therefore invites you to visit its facilities on business and to take pleasure in its natural landscape, as well as enjoy the incomparable gastronomy and traditions of the country with some of the oldest borders in Europe.